We're a group of innovators challenging each other every day to create something beautiful and life-changing. Our team is transforming healthcare, and we're excited for you to be a part of it. From our collaborative office space to open-minded environment, you'll quickly find that we encourage fresh ideas, lifelong learning, and teamwork. 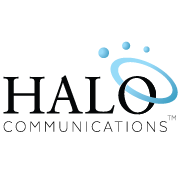 When Halo Communications was founded in 2010 (as Doc Halo), our mission was to create the highest quality clinical collaboration platform for healthcare. Our philosophy was to have nurses, physicians and technology experts working side by side to develop the best new ideas into great products. This approach has been critical to the success we enjoy today and has allowed us to develop a platform that nurses and physicians enjoy using. Nothing makes us happier than hearing from our partners that the Halo platform has improved the patient care inside of their organizations while simultaneously improving quality of life for nurses and physicians. Today we have some of the largest institutions in the country using Halo and together we are solving some of the toughest clinical collaboration challenges. This could not have been achieved without the input of thousands of physicians and nurses over the years and their dedication to improve healthcare through better collaboration. Although our company has grown large, we still maintain our belief that when physicians and nurses drive the development process, the products we create for healthcare will be much better.